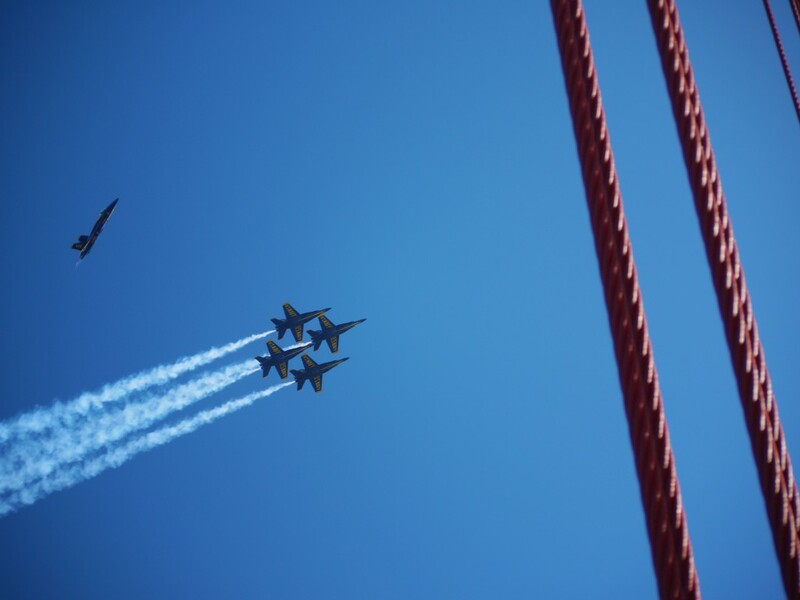 I went to the Golden Gate Bridge on Sunday to shoot the last day of the Fleet Week Air Show. This was certainly a different perspective on the aerobatics: the stunts take space in a three-dimensional space, and this new vantage point is about 90 degrees different from my usual mainland position. Here’s a flight of four planes flying in very close quarters over the bay; I don’t know who they are. 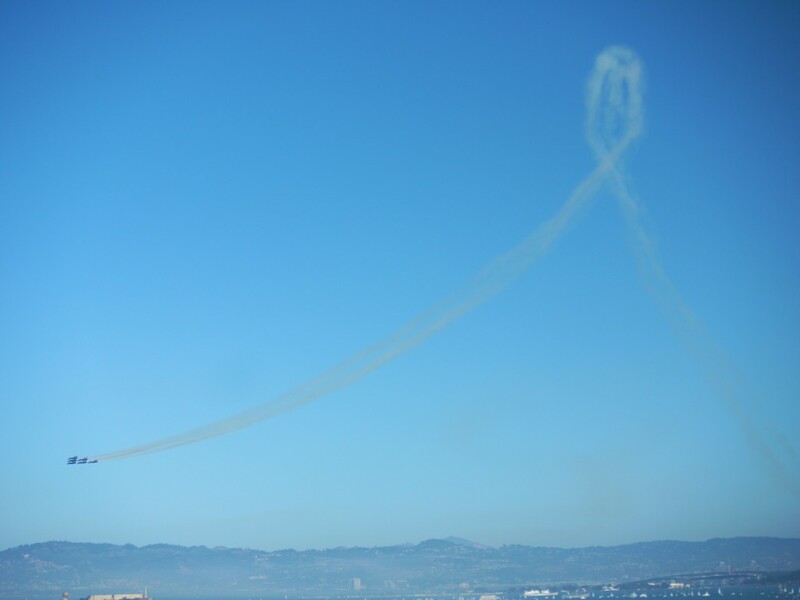 Aerobatics team over San Francisco Bay. Not sure who these guys are. 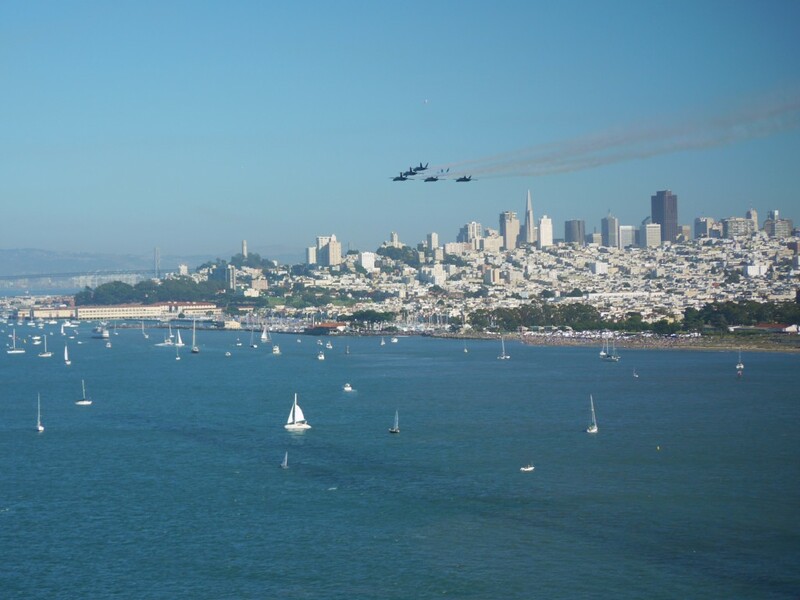 Blue Angels over the San Francisco Bay. Blue Angels over the Golden Gate Bridge. 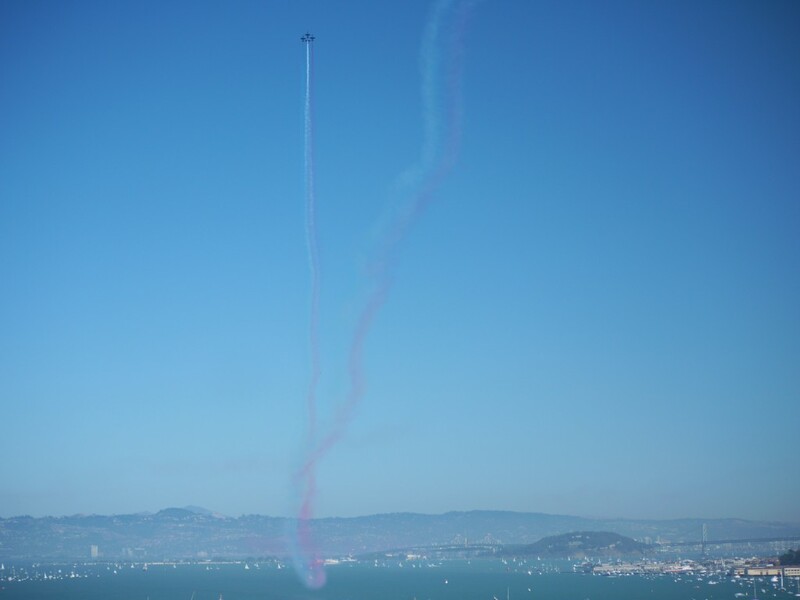 This entry was posted in people, places, things and tagged Air Show, Fleet Week, Golden Gate Bridge, San Francisco, San Francisco Bay. Bookmark the permalink.